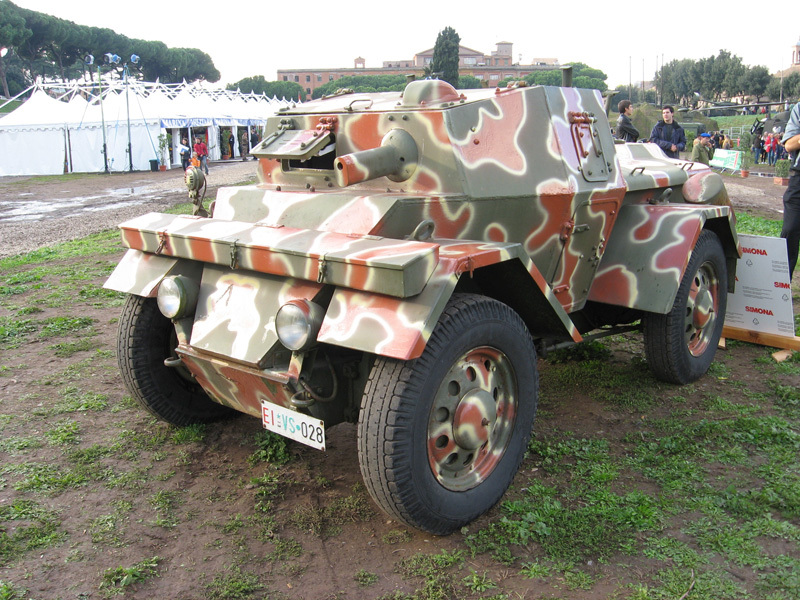 During the North African campaign, the Italians had been impressed by the qualities of the small, fast and versatile “Dingo“. 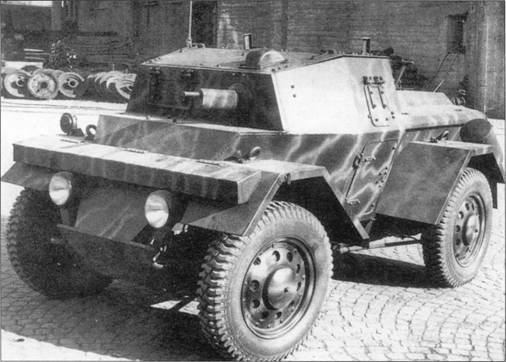 In 1941, the War Office asked the Fabricca Automobili Lancia & Co to manufacture a chassis on which an armored car body could be installed. Specifications included four-wheel drive and independent suspension, while keeping high acceleration and speed. A prototype was presented in November 1942, based on some specimens of the British Daimler Dingo captured in Libya and thoroughly studied. A series of 300 vehicle was ordered and started in early 1943. 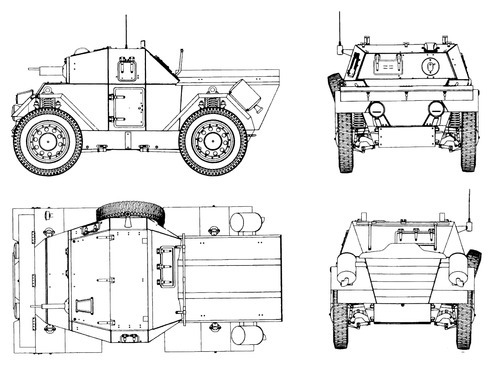 The Army designated it the Veicolo blindato ‘Lince’ (Lancia 269). Only about a hundred were built before the Italian ceasefire. However, the Germans resumed the production for their own account (about 129 to 150), as they still held the industrialized North of Italy. Until March 1945, it is estimated that 127 were built by Lancia V.I. and 129 by Ansaldo. The powerplant was that of the Lancia Astura, but with changes to increase the drive torque and cope with the extra weight. 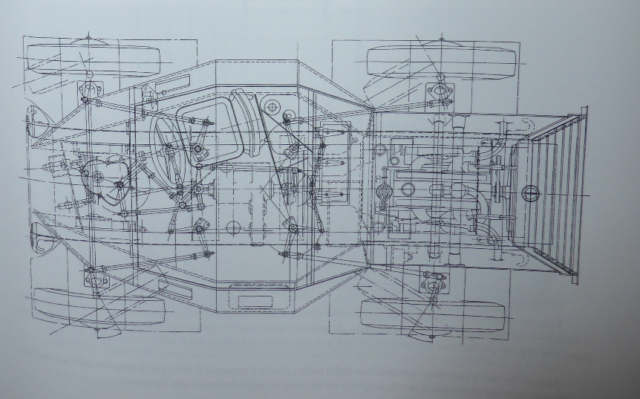 The gearbox had a hydraulic selector copied from the British model, and so was the transmission and suspension. The vehicle had four-wheel steering for better agility. For its three tonnes, the Lince was given a Astura tipo 86 V-8 cylinder, 60 b.h.p. petrol engine, providing enough power for a maximum speed of 86 km/h (53 mph). 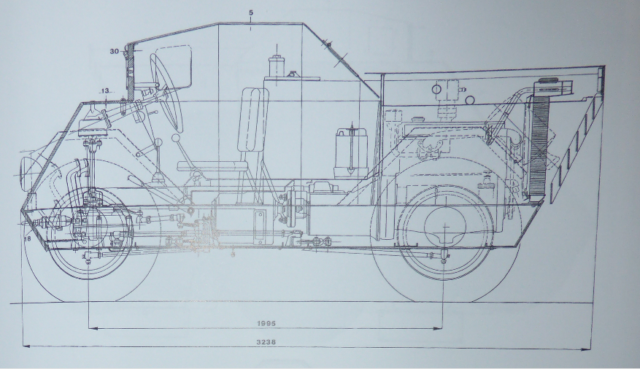 The armored bodywork details, slopes and dimensions were also copied from the Dingo, with some alteration for the rear deck, where the new engine was located. Compared to traditional armored cars produced in Italy until then, the armor was fully welded instead of riveted or partly riveted. This was a considerable advantage, as it meant it was lighter and that bullet fragments couldn’t pass through the plate joints, as happened on riveted hulls. There was another difference, as the original British model had run-flat roadwheels, but the Lancia had no such thing. In fact, the tires were a significant problem, and there are mentions that the lack of suitable tires delayed their entry into service. The Lince didn’t come equipped with a spare tire. For armament, it was given a right hand side mounting and armored encasing for a Breda machine gun Mod. 38, caliber 8 mm (0.31 in). Due to the armistice of September, the regime collapsed and the Germans took control of the industrialized north of the country. 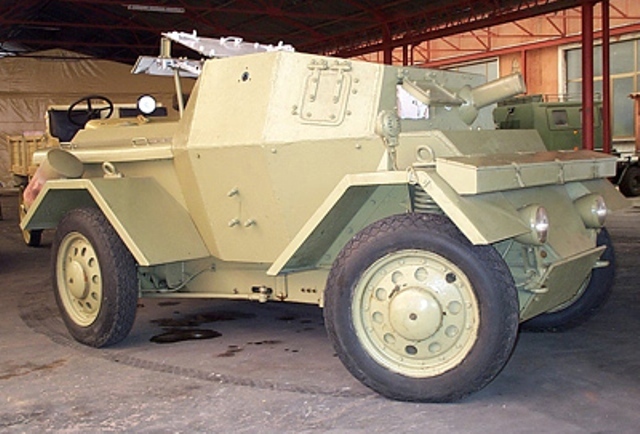 Despite difficulties, such as the lack of skilled labor, raw materials, the bombardments, sabotages and strikes, Lancia and Ansaldo managed to jointly manufacture between 250 and 263 “Lynx”. Only two prototypes were delivered to the Royal Army. 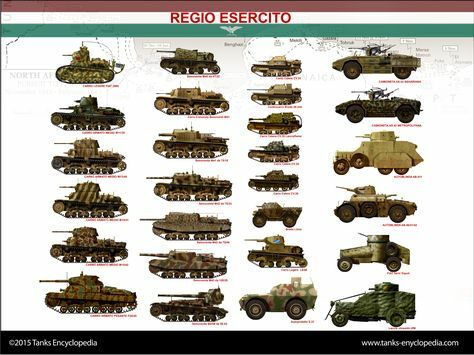 All the ones built until then were requisitioned by the Italian Social Republic Army (Esercito della Repubblica Sociale Italiana). Those ordered by the Germans were used by units of the Wehrmacht with the designation of Pz.Sp.Wg.Lince 202 (i), and the remainder by the National Republican Guard (Guardia Nazionale Repubblicana (GNR) alongside AB 41/43s. They proved quite effective in counterinsurgency and mopping up operations against partisan groups. Some of the German operated vehicles in Greece were later seized, after the German withdrawal in October 1944. They ended up in the hands of the communist-controlled Greek faction known as the ELAS (People’s National Army of Liberation), who used them during the civil war which followed. After WW2, surviving vehicles were assigned to the Police and the 6th Armored Cavalry Regiment Lancers in Aosta. Currently, surviving vehicles in running condition can be seen at the “Zappala” Barracks, Army Cavalry School Italian (Lecce), Vincenzo Lancia Collection (Turin) and Historical Museum of the military engine (Roma-Cecchignola). Any clue as to what the German name/designation for the requisitioned Autoblinda Lince’s?